VTG Albano-Waite Large Format Booklet?!? Not sure if this is the best place for this query... (Mods: just let me know if it should be moved). 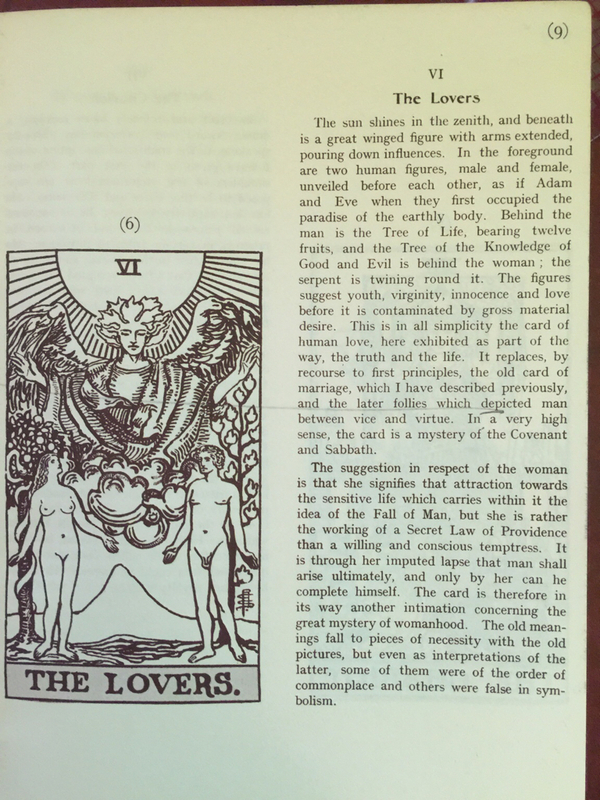 The text for the Lovers card is exactly the same as in A. E. Waite's Pictorial Key to the Tarot. I think this is just another printing of the very same book. I had a copy of that at one point. Don't remember if I still do or not. Btw, HERE is a copy of the Pictorial Key book that is freely available online. 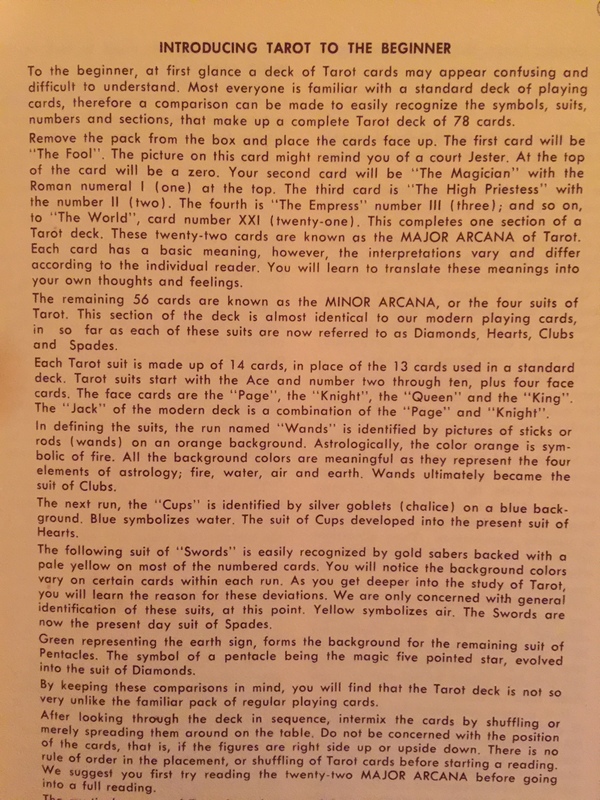 And HERE is the part of that online book that deals with the Lovers card. You can see how it is the very same text in the third link you gave, LisaMyobun. Yes I noticed that some of the text is from PKT - not all, however. And Tarot Productions is Frankie Albano's publisher, right? 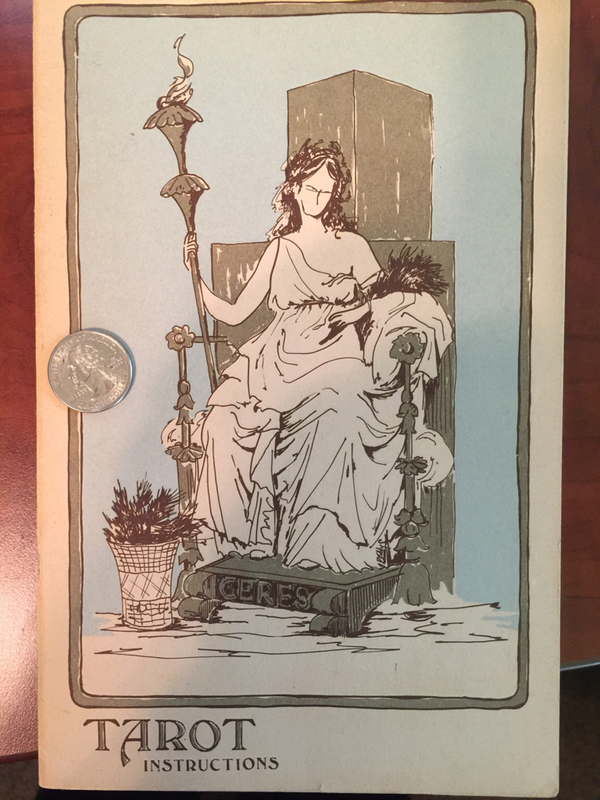 You had a copy of this same booklet? Do you remember where or how you acquired it? 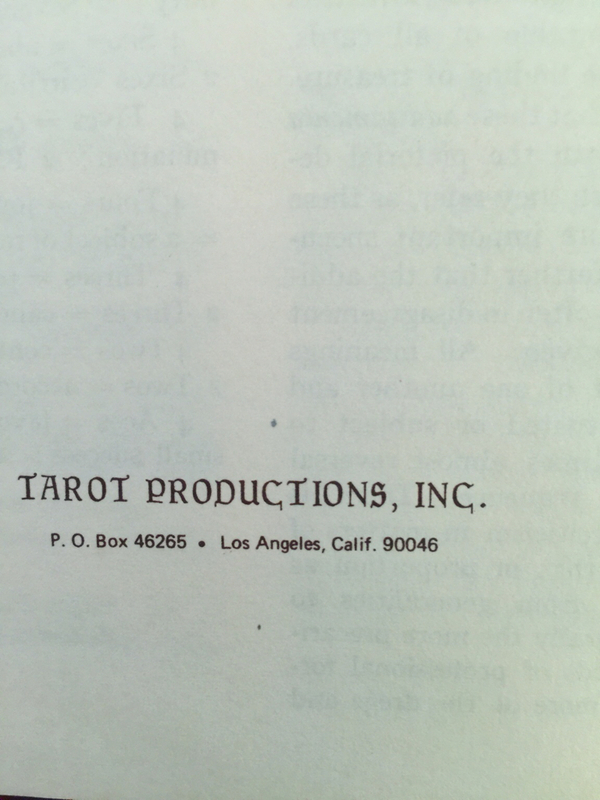 Yes, Tarot Productions produced the various versions of the Albano-Waite before USG took over. Probably got it in one of the many lots of tarot decks I purchased off eBay. 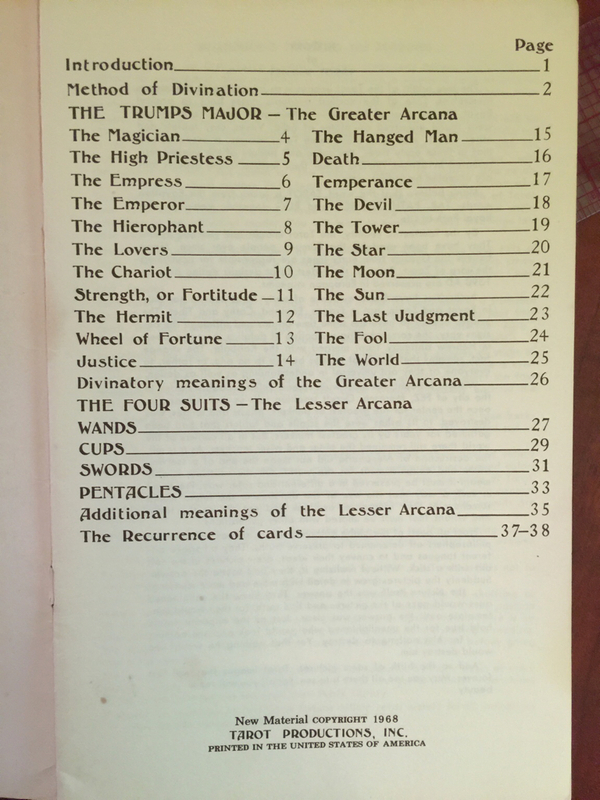 Ah yes, at 38 pages it is too short to cover the whole book, and maybe the booklet just copied the book's card meanings altho it seems like some sections of the booklet (like the Additional Meanings of the Lesser Arcana and the Recurrence of the Cards) were also available in the PKT. BTW since the PKT's copyright has already lapsed as far as I know, parts of the text (or even its entirety) may be reproduced by any publisher without legal repercussions. Ah, HERE is a very useful resource that discusses the LWB (Large White Book lol) you have, Lisa. It also mentions that it is, in fact, a truncated version of the PKT. Hope that helped. Edit: it also seems like this cannot be the LWB for the Majors-only Giant Albano deck since I dont think an RWS Tarot deck would even reach 6"x9.25". This IS very helpful - thanks EK! I should have checked Dusty White's site before posting. This is fantastic! Reference further down that page to "the latest inventory of the New York Public Library"... maybe this was stolen from the University Books LWB? ?